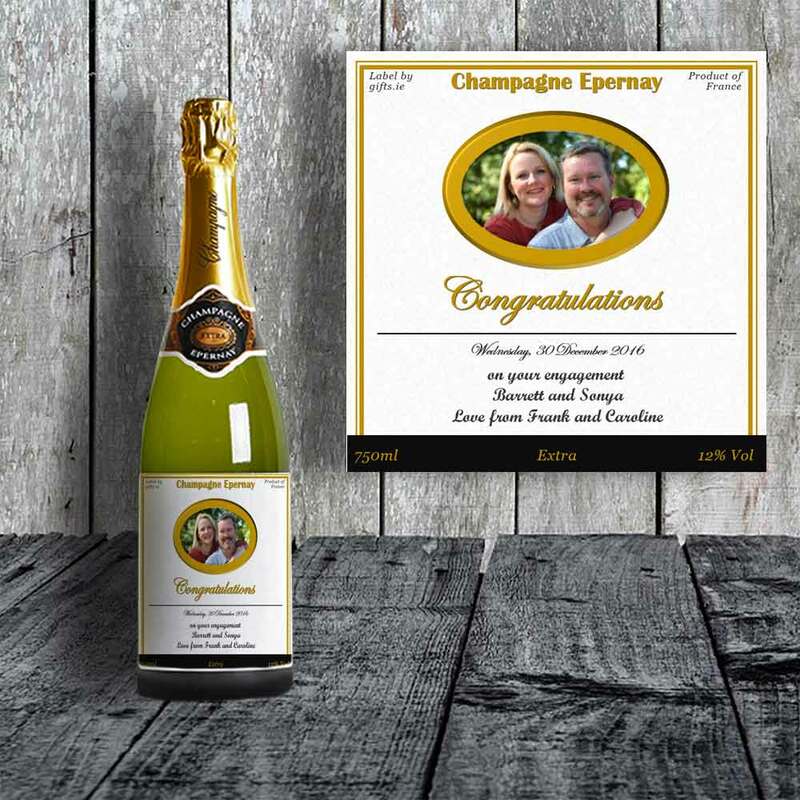 This novel bottle of personalised Champagne is truly a great gift to celebrate and commemorate your recipient's occasion. 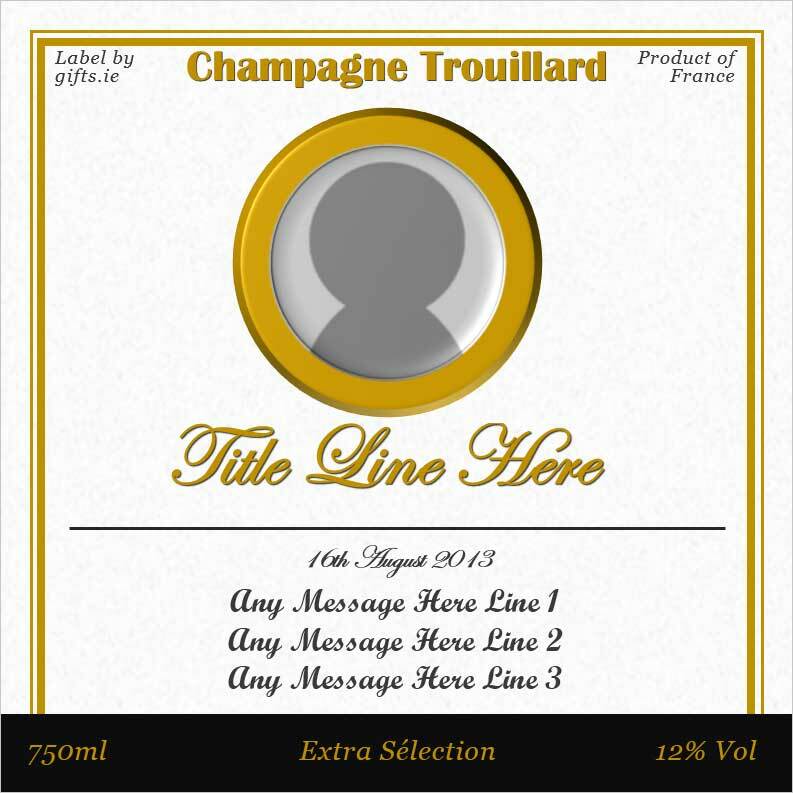 Simply complete the details and we'll have the champagne label custom printed with your personalised details. 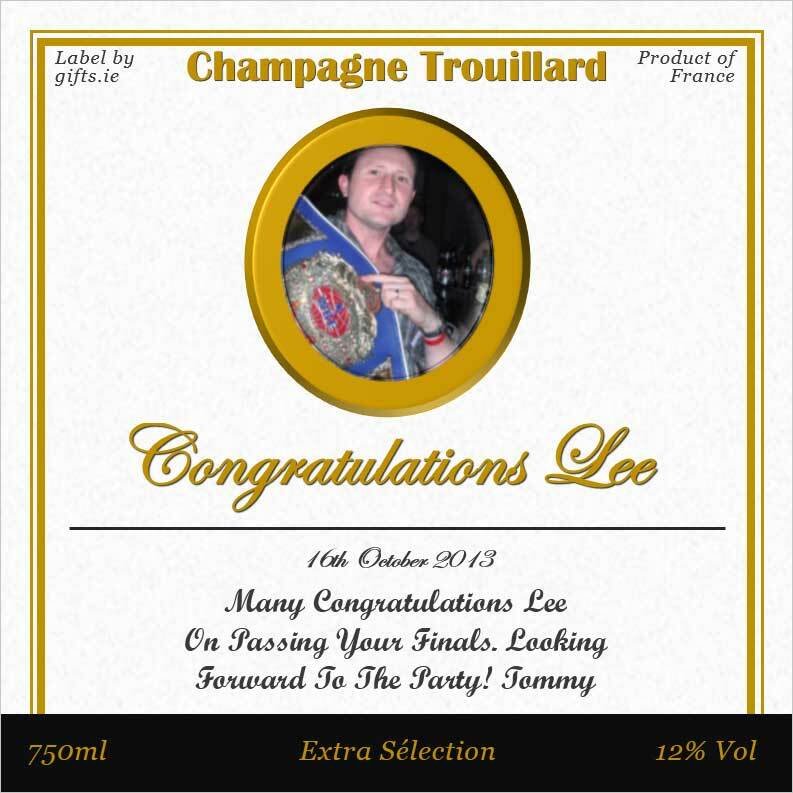 The label is personalised with a photo, a title, 3 greeting lines and the an date of the occasion (optional). 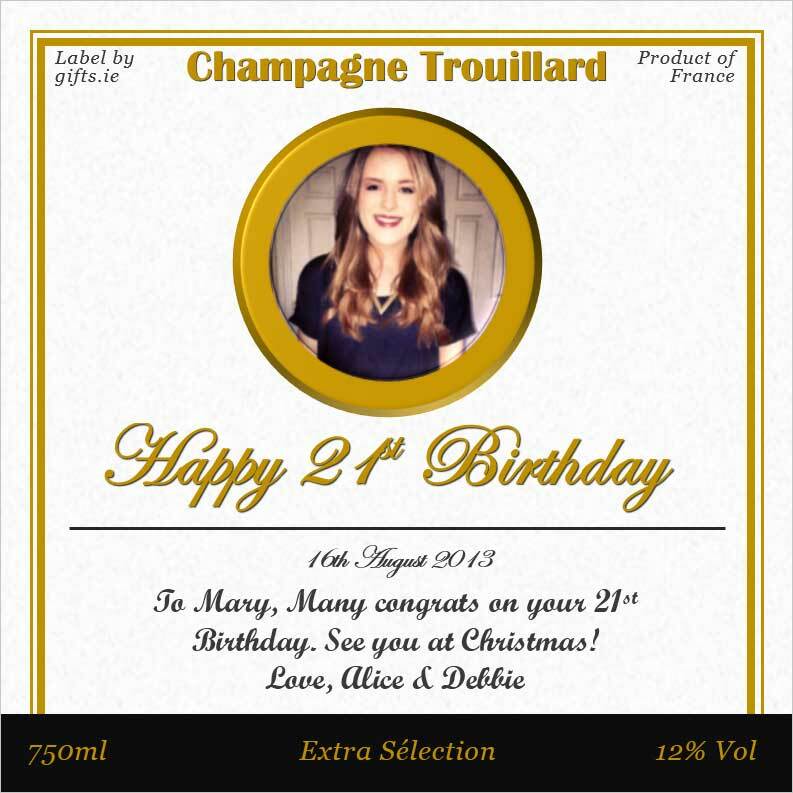 The photo can be any shape, however it may be resized to fit the label.